What has been written throughout all these now 72 Volumes of Patient Modesty has been descriptions after descriptions of the "bad", thoughtless behavior of the medical system with regard to the dignity of the patients under the system's care. I have repeatedly voiced on this thread the need for my visitors now, beyond simply writing here about the problem, to make an effort to change the way the medical system "thinks" and "works". I have found today evidence that the system is looking for ways to make changes in teaching, practice and behavior. The Association of American Medical Colleges (AAMC) has now publicized its attempt to make such changes. It is guided by a statement by the AAMC Board of Directors who in 2014"affirmed the value of fostering a positive learning environment with a formal statement that reads in part: 'We believe that the learning environment for medical education shapes the patient care environment. The highest quality of safe and effective care for patients and the highest quality of effective and appropriate education are rooted in human dignity.'" So, to my visitor, there you are: this major medical system organization involved in medical school education and the teaching of medical practice to the residents and fellows in this profession is looking for change. It is now your opportunity to write to the AAMC and express your concerns of the current system and your advice for the future. 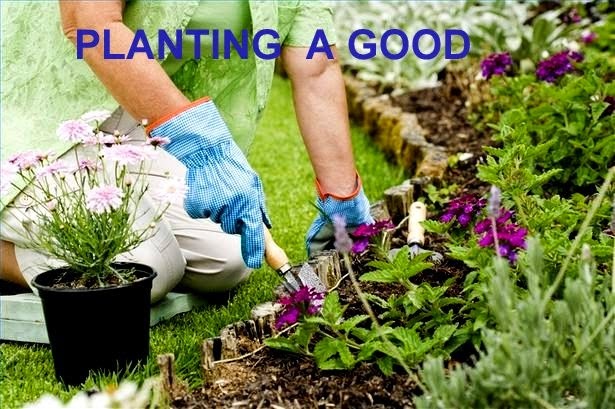 This will be your opportunity to "plant a good" which has a chance to flower. ..Maurice. Graphic: From Google Images and modified by me with Picasa3. NOTICE: AS OF TODAY AUGUST 5, 2015 "PATIENT MODESTY:VOLUME 72 WILL BE CLOSED FOR FURTHER COMMENTS. YOU CAN CONTINUE POSTING COMMENTS ON VOLUME 73.